This mod has been replaced by the updated Weekend Warriors mod! There are currently no setups for Hometowns to the Fairgrounds. Add a Setup. There are currently no car skins available for Hometowns to the Fairgrounds. If you are a painter you can share skins for this mod via the Car Skins area. Visit the Spray Booth for painting tips & tricks. I apologize it has been so long, I've been trying to figure out this issue you are having with the fuel and something simple just came to mind. Are you running a low amount of fuel such as 5 laps of fuel for qualifying? The mod is setup so you start a race with the same fuel and tires you qualified on. Ok, what track are you having the issue with? Hey rfnowner - That explains the engine overheating, thanks. But the no fuel situation is real and I can send a screenshot and svm. I put in 22 gal and hit Race and it says I have 5 laps of fuel. 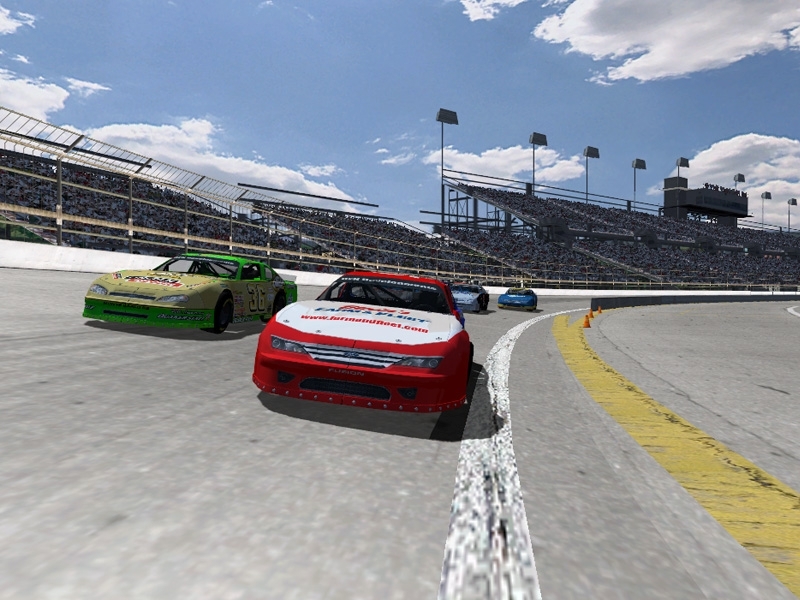 I've never seen this w/ any other mod and have tried hundreds, so I suspect the mod, but I guess it could be rFactor. Let me know if you want more info. The mod is fun otherwise, unique. It sounds like your engine is blowing up because of over heating rather than running out of fuel. With the heating issues it requires some research and knowledge about the cars when working on you gearing. First off, when you load a track go to the setup and check the rpm limiter, if its 6200 its a crate engine and if its 7400 its a super, this is very important as the 2 engines are completely different. Now with the crate engines the peak hp and torque is 355hp @ 4600 RPM and 443 ft-lbs @ 3700 RPM the hp and torque drop off very fast after its peak as crate engines are known for having the power band low in rpms and bogging down at high rpms, since 4600 is the highest of those two peaks you can push it slightly past that to about 5000 rpms at the end of the straights, if you are running a higher gear and higher rpms than that you are just losing power and heating up the car too much. Now with the super the peaks are 595hp @ 5750 RPM and 587 ft-lbs @ 4750 RPM so with 5750 being the highest peak you can go a bit above that to I would say 6000 rpms but any higher than that you lose a bit of power and heat the car up more. The super engines do not lose power as fast above the peak, but as with any engine it does drop in power after the peak and with any engine the higher rpms the faster the engine is running and the more heat is generated. With your setup adjust your gearing so you are operating within those values i gave you and car should run great, have fun and let me know if you have any other issues. Having big problems running this off-line. No matter how much fuel I put in the setup, I run out of fuel after a few laps, on any track, in whatever mode, Career, Testing etc. Also the engine overheats and I have it on the coolest setting w/ 0% grill tape. Same result w/ 100% grill tape of course. There's no radiator opening adjustment available. thank you for this fantastic MOD! 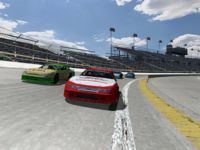 I added a new link for both the stand alone and the rFactor install for those that have issues with the first links. Thank you Buzard. Glad you like the mod.